This week’s X Factor has a Jukebox theme, and each of the five remaining acts will perform two songs over the course of the quarter-final weekend. The jukebox tracks have been announced, with the second number (apparently) to be chosen by a public vote from a choice of three songs. Just a few short weeks ago Andrea Faustini looked destined to win the entire thing such was the quality and consistency of his performances, but unfortunately for the talented Italian, it looks as though his days are now severely numbered having survived a sing-off last week. 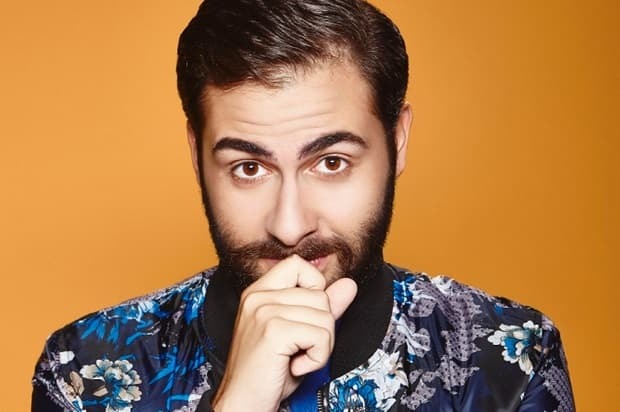 Andrea Faustini – Who will be singing Mariah Carey’s ‘Hero’. Ben Haenow – Will take on Ed Sheeran’s recent smash ‘Thinking Out Loud’. Fleur East – Is performing ‘If I Ain’t Got You’ by Alicia Keys. Lauren Platt – Who will take on Swedish House Mafia’s ‘Don’t You Worry Child’. Stereo Kicks – Will sing Snow Patrol classic ‘Run’. It seems hard to fathom on the face of it why I’m predicting that one of the most talented singers in the show will be eliminated this week, but the tide seems to have firmly turned against Andrea over the last few weeks. At this stage of the competition it’s hard not to start second-guessing what the X Factor producers want to happen, and to analyse the way the different acts are represented by the show and in the press. Of course it may all be supposition, but if we follow the notion through to conclusion, it’s not difficult to find ways in which Andrea has been ‘undermined’ in the eyes of the public. There has been a recurring theme over several weeks which links Andrea to food, since Simon’s comment in week 3 where he (bizarrely) comapred listening to Andrea with eating six doughnuts. Since then there have been several occurrences of Andrea being filmed eating – the point being that he is being linked with unhealthy, sickly excess. If that sounds plain daft, next is the constant reminders we are given that he is Italian. Now, that shouldn’t necessarily be a problem, but as the competition reaches it’s climax there is bound to be a section of the vote which is patriotic, and therefore may not vote for Andrea. Another subjective point is the production behind his performances. Since being painted gold on Halloween night, he has consistently been poorly dressed, while staging, lighting and production has not been anywhere near as flattering as that of, say Ben or Fleur. These, of course, are all opinions, and can easily be interpreted in different ways, or indeed dismissed as over-analysis. So let’s look at some of the press that has surrounded Andrea this week. First up was an article in the Sun which reported that Andrea had locked himself in a hotel room for 12 hours following last weekends sing-off – which he survived as Stevi Ritchie was sent home. When asked if Andrea could win, Simon Cowell told the Sun, “No, because I think he’s peaked. It’s the same thing week after week”. Pretty damning stuff. ‘Because the funny faces he pulls put me off’. ‘He’s so good people don’t think they need to vote’. ‘I want him to perform not just sing’. ‘He needs to perform a more uptempo number’. Three of those answers are negative, and reinforce negative feelings about the poor guy. The only one which could be construed as positive – ‘He’s so good people don’t think they need to vote’ – only really serves to suggest that people don’t vote for him. Let’s assume (and I’m going to) that Ben Haenow and Fleur East are as good as through to the final. That only leaves Lauren Platt and Stereo Kicks. I backed Lauren to be eliminated last week rather than Only the Young, but she performed admirably to stay away from the bottom of the voting. She seems unlikely to win, but may well go on and get a record deal, and if I were in the X Factor producers shoes, I would see her as a much more marketable act than Andrea. The appearance of her younger brother on stage last week could be viewed in one of two ways – either it was designed to make people warm to her and her family, or it was designed to undermine her ability – but it may matter little as news was released this week that she has the flu and may not be able to perform at all this weekend. A pass to the semi-final because of illness would be a gift at this stage of the competition, and cries of ‘fix’ have already flown about on social media. Regardless, it’s difficult to back her to be eliminated at such short odds considering that she may not even perform. Stereo Kicks odds have drifted throughout the week and they continue to receive good press at every opportunity. They’ve been in the bottom two twice in recent weeks, but there seems to have been a concerted effort to ‘get to know them’ as the judges might put it, and just for viewing figures alone, they are probably destined to be in the final to give it a bit of variety. After Only the Young were dispatched last week, Stereo Kicks are this years ‘chosen group’. That looks a very good price. If Lauren does perform she is set up to receive a sympathy vote for ‘battling through the performance’. Stereo Kicks are becoming more popular by the day, and I would be quite surprised to see them go this week.